Click the "ON/OFF" button to start the radio. Then click buttons 1-6 to hear Alan sing! Click the "ON/OFF" button to stop the radio before you leave this page. Click Wonderful Tonight to hear Alan sing it live! 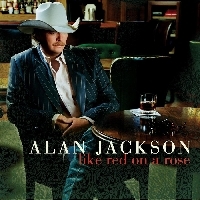 Click He Stopped Loving Her Today to hear Alan sing the song "live" for George Jones birthday celebration! Click Boats To Build to hear Alan sing part of the song with Jimmy Buffet! Click Star Spangled Banner to hear Alan sing it! Click Seven Bridges Road to hear the song. Click Ring Of Fire to hear part of the song. Click If I Could Make A Living to hear Alan sing it live! Click 3rd Rate Romance to hear Alan sing it live! Click Better Class Of Losers to hear Alan sing it live! Click Small Town Southern Man for lyrics to Alan's new song. I LOVE IT!! 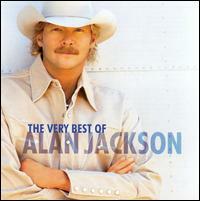 Click Alan Jackson's Website to hear the song. 7. Are You Washed In The Blood? Click Precious Memories Player to listen to some of the songs.